Japanese cult label Beauty:Beast (ビューティビースト) founder and fashion designer Takao Yamashita (山下隆生) was born in Nagasaki in 1966. In 1986, Yamashita participated in the Marui Designer Audition and became aware of the opportunities in fashion design. The following year he started to create his own distinctive designs. Yamashita established Beauty:Beast in 1990. In 1991, after he participated in the Osaka Collection, Beauty:Beast’s popularity began. During the 90’s, many young designers got caught up in the Harajuku street fashion boom and Yamashita was one of them. It took until 2002 before the brand really started to expand all over Japan. The brand is now run under the company name base:six. 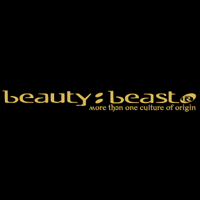 Beauty:Beast creates an amazing range of products from t-shirts to bags to wedding dresses to hair care (cosmatrix) and has shops in Kanto, Chubu, Kansai, the UK and the USA. From 2010, Yamashita also started working as Creative Director for Japanese athletic equipment company ASICS. Besides their official site, the company also has an official blog. Is there another site to view Beauty:Beast collections? The base:six site is very outdated and difficult to navigate while the link to the official site no longer works. Thanks! how to order goods products to Indonesia ? @obi: Order at their shop.